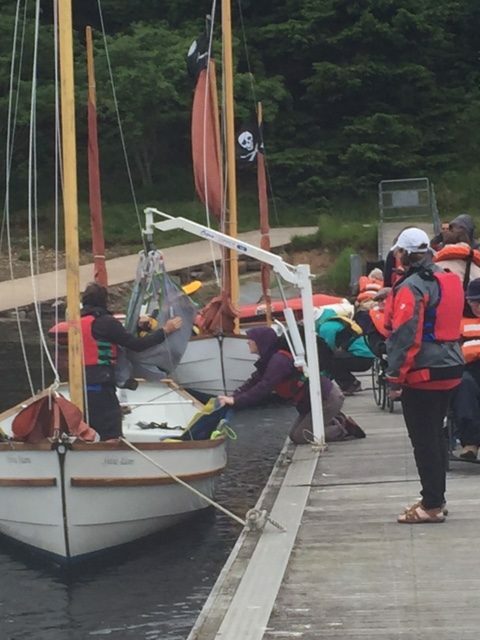 As recently as June this year Cappanalea hosted a one day pilot course for outdoor instructors seeking to gain a greater understanding and a practical application for working with people with disabilities in the outdoors. The training course is being developed by outdoor practitioners under the stewardship of the CARA Centre and will hopefully be rolled out nationally over time. 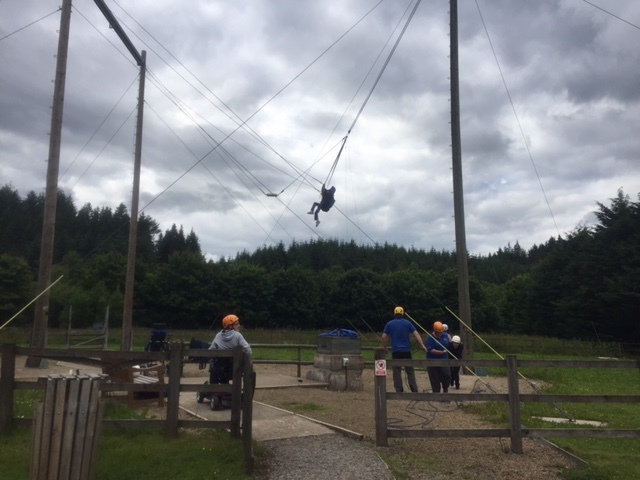 The Calvert Trust Outdoor Centre in Kielder near Hadrian’s Wall on the Scottish border is a leading light in terms of what they can offer those who have a disability but want to be involved in the outdoors. 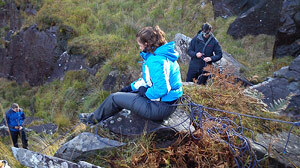 Their outdoor programme’s include sailing; climbing; archery; geocaching; boating, high ropes and canoeing. The Calvert Trust offers both an outdoor activity holidays for people with disabilities and also provides a full carer service. Here the Centre staff are trained to takes on all the roles of the carer; be it dispensing medication; looking after the personal hygiene and dressing of the guests; moving and handling; assistance with meals if necessary, in fact all the tasks which are required for everyday life of those people with disabilities. The Calvert Trust in Kielder can offer total respite care and a full programme of outdoor activities. Things are changing for the better here in Ireland. The Share Centre in Lisnaskea in Co. Fermanagh is doing great work in this area and offers residential outdoor activities for people with disabilities and their carers. There is a tide of change where colleges and training courses are now producing graduates with qualifications in adapted physical activities. The Cara Centre is doing huge work and advocacy for universal inclusion of people with disabilities in sport and making an enormous impact around the country. The outdoor National Governing Bodies (NGBs) are addressing inclusiveness particularly in sailing and other water sports. From our work in Cappanalea we have seen the joy and fulfilment and independence that participation the outdoor sports can offer to people with disabilities. Wouldn’t it be great if we could offer such services here in Kerry at Cappanalea OETC be it on a trial period to begin with in 2017. Think, if we could identify a sponsor who through their Corporate Social Responsibility would be willing to invest in the initiative to make the week affordable to those people with disabilities. Similarly are there individuals out there with disabilities who would enjoy and benefit from an activity week and who would be willing to take the plunge and sign up for the week. Would we have success in encouraging the Health Board to become involved to support the respite care for a residential course in Cappanalea or resources the personnel or advice in working with the people with disabilities and in the application of their medication needs? Would we find a group of volunteers with or without expertise who would commit a week to working on such course?